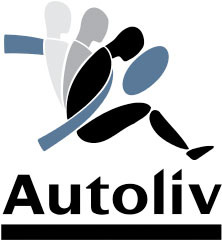 Autoliv, Inc., an automotive safety–focused company headquartered in Stockholm, Sweden, announced the availability of its Electronic Horizon module, which provides beyond-line-of-sight road context and information to enhance safety and efficiency systems, at the 22nd Intelligent Transportation Systems (ITS) World Congress being held this week in Bordeaux, France. The Roadscape Horizon module uses selected road data attributes from a digital map database, GNSS (GPS) and inertial sensors for precise vehicle positioning, and software algorithms to identify attributes of the road ahead of the vehicle — such as geometry, elevation, slope and curvature. The credit card-sized module links to a vehicle’s controller area network (CAN) bus but operates independently from any other onboard system. The stand-alone Electronic Horizon module, intended for low cost fleet-wide vehicle implementations, is compatible with future vehicle needs, including wired and wireless vehicle interfaces with cloud computing for incremental map updates and is capable of delivering data to customer-specific applications, according to the company. Autoliv’s Horizon module is available for development as well as production platforms immediately. The company got the technology underlying the Electronic Horizon module as part of its $100-million acquisition of the automotive business of M/A COM Technology Solutions announced in July. M/A COM, based in Lowell, Massachusetts, supplies a variety of GPS modules and navigation technologies along with radio frequency and antenna products to the auto industry. The Electronic Horizon evolved from a commercial Map and Positioning Engine (MPE) module jointly developed by M/A COM and NAVTEQ several years earlier. The MPE module can enable a transmission control to dynamically manage shifts based on a pending hill or curve and a driver to be actively warned if the vehicle speed is unsafe for an upcoming curve. Previously, automobile control systems using road features to augment safety and efficiency systems depended on an in-dash navigation system as the source of map data.